Of course, that’s personal opinion. But as much as I enjoy jumping into a new story and writing like crazy for a few months/years to complete that first draft, I heave a huge sigh of relief when I can move on to the next phase. Revision, rewriting, cutting and pasting, rearranging, adjusting, scooting one bit here and another bit there. That’s the part I like. I picked this one up at Quote Garden, another of my favorite online sources for good quotes on any topic. Michener has always been one of my favorite novelists and I’ve devoured most of his stories (even though I admit I sometimes skim through those opening passages on the formation of volcanic islands or inland mountains). It’s unlikely I’ll ever write a book as long as any of Michener’s novels or as complex or as successful, but at least I know we had that one little thing in common. 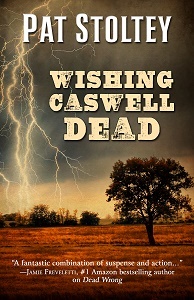 When I first wrote Wishing Caswell Dead, it was a historical short story. 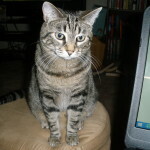 Then it grew a little longer from the main character’s point of view…perhaps novella length. I began to wonder about the rest of the characters. What were their stories? So I wrote more. Screwed up the timeline. Printed the whole thing out and literally cut sections apart and taped them back together where they belonged…did it some more…added more…revised. I have a total of six versions of the novel. And then I went back to Version three and revised it some more for submission. It may be a disaster, but one of these days I’ll get an acceptance or a rejection and I’ll know. The original story took a couple of weeks to write, the original first novel draft perhaps a year. The rewriting process stretched out over eight years and three other novels. Of those three other novels, two have been published and one, a mystery, is still sitting on my “first draft” table. I’ll finish it one of these days. Maybe. 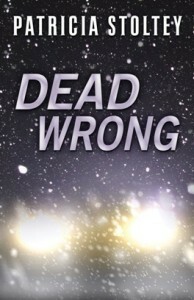 The book I’m rewriting now is suspense and picks up some of the characters from Dead Wrong. I had a rough draft completed when I decided I wanted to add another character’s point of view to the mix. Now I’m inserting scenes/chapters throughout the novel to flesh out that new character and give her a bigger role in the plot. And that means some pretty fierce rewriting in the last third of the book. 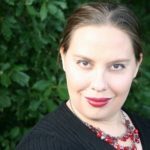 If you’re a writer, of all the stages of the writing process, what do like best? If you’re not a writer, did you ever guess how much time it takes some people to write one silly little book? 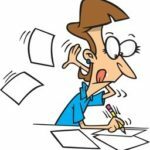 Revising is, in a way, less stressful than writing a story in the first place, Pat – well, at least for me. You’ve thought of the story, you’ve written it all out, you’ve gotten your main ideas expressed. That takes a lot of work and energy, and you’re starting with nothing but your ideas. The revising is more peaceful because the structure of the story is already there. Peaceful is exactly the right word, Margot. The only time I get stressed is when I realize I’ve messed up the timeline….again. Thank goodness I have a timeline hawkeye in my critique group who catches those slips. I hope it’s a wrap! Revisions are my favorite part. One the story is on paper, I can actually do something with it. I like revision too. At that point, I have the material, I just have to work it into the final shape. Since I don’t usually know what the final shape is supposed to be, it can be exciting to realize that by moving a chunk of the story forward, or connecting two pieces that seem unrelated, I can add depth and make the story more compelling or believable. Editing is my next favorite. I love it when I realize I can say something in fewer words, or dump a passage altogether because previous events have made further exposition unnecessary. Ah — a fellow lover of revision and editing! If you have discovered how to know when to stop, please let me know. Exactly, Alex! I guess that’s one of the “fun” parts of being a pantser, right?